Most people have heard of rooter services chewing up plant roots from drainage systems and cleaning out drains – but did you know that a rooter service also tackles almost any kind of plumbing blockage and drain clearing? It is a simple premise – a rooter machine is used by a licensed plumber to clear up clogs of tree roots and other hard to reach debris from sewer lines and drain pipe lines. Your plumbing system is very important, as the water that is supplied to your home through this system, is used for everyday tasks and the general function of your household. Anything that compromises the efficiency of this system needs to be removed and/or repaired. Rooter service is a good solution to most blockage problems in your homes plumbing system. Any faulty drainage signs that you might see in your home should immediately encourage you to contact a plumbing company like Art Plumbing, AC & Electric and request a rooter service. As a home owner you should already know that your home constantly needs repairs and maintenance. Obviously, this becomes expensive. Keeping your drains clear and clean is no different but investing in rooter service and drain cleaning maintenance saves money in the long run. Instead of spending time and money fixing multiple plumbing problems and repairing extra damage that could have occurred through not keeping on top of these problems, you can simply employ preventative measures. An extra bonus is that rooter service is not just a preventative measure, it also involves the maintenance of your drainage system. When Do You Know That You Need Rooter Service? These factors may indicate a plumbing problem in your home plumbing or deeper in the main sewer line. After identifying these signs, you should act fast and contact a trusted and licensed plumber to come and diagnose the problem and complete all the necessary repairs. Drainage systems are made up of many pipes that have different sizes, materials and fittings. These pipes and other contributing parts give rise to a complex system that should only be handled by a professional plumber who will use their experience to diagnose any problem and provide you with solutions that will effectively and efficiently solve your problems. 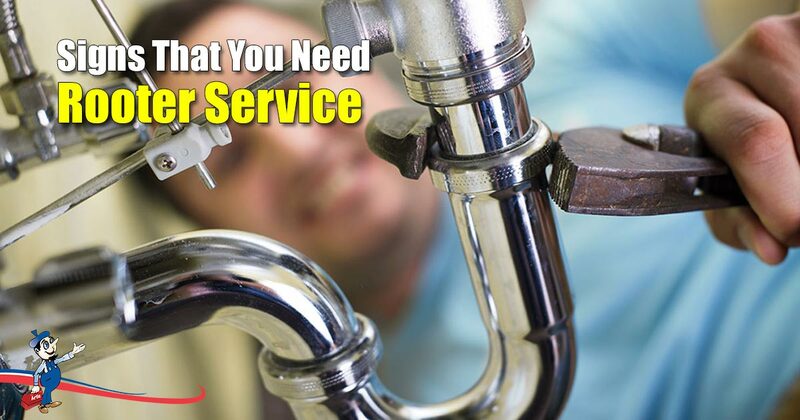 Hiring a professional plumber is always encouraged when rooter services are in question because of the machinery and expertise needed to clear the issue without any harm to your plumbing or yourself. It is highly discouraged to try and fix your drainage problems yourself as you might end up doing more harm than good. At Art Plumbing, AC & Electric, we have a specialized department that has experienced and highly qualified plumbers who have turned providing rooter services into an art form. Don’t delay! Call us at 904-299-7500 to schedule your rooter service today. What Causes A Leaking Faucet? What Is Slab Leak Detection?